Once this form has been submitted, you will receive confirmation from Nick Jones advising if your order can be processed. Once confirmation is received, your order will be temporarily placed on hold pending your payment and completion of the PDF order form below. 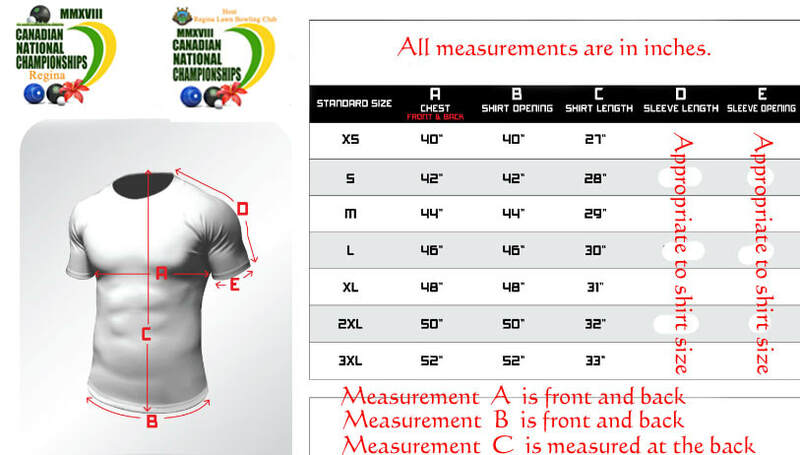 We are now offering a $5 per shirt flat rate shipping fee to anywhere in Canada. Please indicate if you would like the shirt(s) shipped to you or placed on hold for pickup at the Championships. Please select size and quantity. The Regina Lawn Bowling Club welcomes everyone aged 8 to 98+ to participate in the sport of lawn bowling. Try it, you just might like it! Lawn bowls is a fun and inexpensive sport for everyone, no matter their age or skill level. It’s a great way to socialize and meet new friends. We are located at the Leslie Bowling Greens, Victoria Avenue at Queen Street. 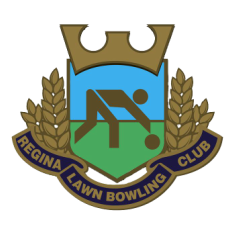 The Regina Lawn Bowling Club is only one of three clubs in Canada with four bowling greens. Our facilities are open to individuals, the general public, private and corporate groups in most cases any day or evening of the week. To make arrangements, just use the Contact Us form. The Regina Lawn Bowling Club opens in May on Victoria Day and operates until the end of September. Monday to Friday: Games for members are scheduled for 1:15 pm and 7:15 pm. Arrive 15 minutes prior to the start time. Teams are then set up for those in attendance. The games are about 1 ½ hours in duration. Saturday and Sunday: There are no scheduled games, however the facility is available for bowling and/or social events.